RETAs Results: Who is the Most Innovative CRE Tech CEO/Entrepreneur of 2014? It’s time to announce the 2014 RETAs (Real Estate Tech Award) winners! As the founder and CEO of one of the hottest CRE tech startups, Nick Romito is leading the way in innovation in our industry. Nick has been featured in high profile publications, like this NY Time interview, this The Real Deal profile and this NY Post article. Nick spent years as a broker and discovered a serious gap in the industry: the unorganized nature of handling each stage of a deal. He then launched View the Space, a cloud-based leasing and portfolio management company, which now hosts more than 850 million square feet of office space on behalf of landlords and brokerages. Brandon Weber is the founder and CEO of Hightower, a New York City–based real estate tech start-up backed by Joshua Kushner’s Thrive Capital and Bessemer Venture Partners. Hightower is a mobile and web-based app that allows users to track their deal pipelines in real time. Brandon is a techie turned broker who sought to create a platform to simplify the inefficiencies he encountered in the commercial real estate industry. Brandon and his team at Hightower show no signs of slowing down as they recently closed a $6.5 million Series A round. Brothers and co-founders Ben and Dan Miller started Fundrise, a real estate crowdfunding platform, in July 2010. Ben, Dan and Fundrise have been covered extensively in the news, including in this recent NY Times interview. Fundrise has completed over 30 transactions, with their biggest one of $10.5 million closing in 2015. Not only do Ben and Dan create awesome content on the Fundrise blog, they are regular contributors on The News Funnel's blog. Michael Mandel is an NYC commercial real estate broker turned entrepreneur. His passion for making commercial real estate information available and transparent allowed him to launch Compstak, a marketplace for the exchange of lease comps. He has been named 30 Under 30 in Real Estate New York and National Rookie of the Year by Grubb & Ellis. Michael and Compstak have gotten tons of great press, including this recent article from The Real Deal. Michael Griffin is the Chief Product Officer at Xceligent, a nationwide provider of property and listing information for the commercial real estate industry. 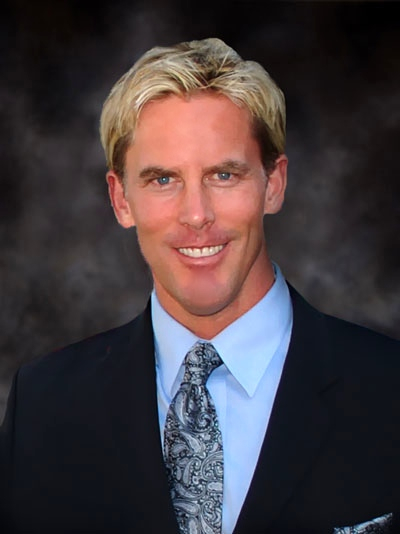 He is also the president and CEO of ClientLook, a leading cloud-based commercial real estate CRM. Michael is innovating the industry through his contributions at both Xceligent and ClientLook, as well as providing valuable content about the CRE tech industry on The News Funnel's blog. 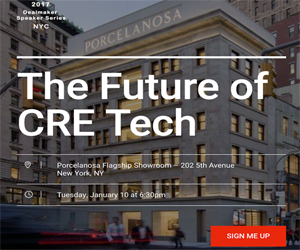 Older PostRETAs Results: Who is the top CRE tech VC?